That wonderful day is oh so close. Last year the schedule was released on Thursday April 19th same with the year before that. So very likely next Thursday should be the release of the NFL schedule. The NFL has done the release early in the week but it is always the 3rd week of April. Typically on the day of the release there will be leaks galore and I will do my best to post what I find. With this being the NFL's 100th season I think the entire schedule from primetime games to the normal layout will be different this year. -Patriots host SNF after getting bumped off the original opener. The Bills are a candidate to play although a longshot. My guess is the Steelers open at NE on SNF. -With this being the NFL's 100th season expect the Bills to probably get some love given their role during that time. -Week 1 MNF typically has two games with the 7:15 game being an east coast game and the 10:00 pm game being west coast. There is a lot of conversation that the Jets will host MNF at 7:15 so maybe the NFL bucks the trend of balanced openers and Buffalo is on the big stage. -The Bills are at Cleveland this year and it has been heavily speculated that this could be a TNF given it has happened before and the storylines that exist. If you do see any schedule leaks post them so we can all over analyze even if they are not directly Bills related. I love the lead-up to the schedule release with all of the leaks and whatnot, so I appreciate you starting these threads. The schedule release is always one of the most important dates of the year for me as I immediately make travel plans around which games I will attend. I hear that. As I have gotten older the date has been more and more important to me for the same reason. I really want Cleveland to be TNF and I don't because if it is just a 1:00pm game my family and I plan on going to it. I basically build my fall weekends off when the games are. Ditto, since I have so far to travel, plus I'm hampered somewhat by high school football season now. After spending MAC Tournament weekend ion Cleveland, I'm considering a CLE road trip if it lands at a favorable time for me. Since preseason usually gets announced the week before the regular season release, does that mean those games are revealed later this week? Would love to see teams like Miami, Cincinnati, Jets, Titans, Denver all in the first half of the schedule. "Should" be winnable games. Would rather deal with a gauntlet of tougher teams (Pats, Steelers, Browns, Eagles) in the second half. Yea there should be some noise in this time where we find out at least the opponents. I usually try to do the home Thursday pre season game. You can get super cheap tickets up close and its a nice evening. I hope Cle game is on a weekend. Would love to travel to that. If this happens, I predict Bills 31, Miami 10 in a game that's not even that close. The normal opening day crowd will be whipped into froth by gametime, and we already know Miami is most likely going to stink on purpose, kinda like @plenz right around 12:25pm in the (still clean) upper deck "house of horrors." I kinda think this year assuming the Bills open at home they will win regardless. There is a lot of positive momentum building and the Ralph will be a freaking thunderdome that day. I come in for the home opener every year and always stay at the Embassy downtown. This will be my 14th straight opener. I always book the first two weekends before the schedule is released to ensure I get a room. I called late last week and the first weekend at the hotel is already blocked by "a large group." While most teams stay at the Hyatt, broadcast, at minimum, stays at the Embassy. Also, for last years opener, the Chargers were at the Embassy. Just reading the tea leaves, but I'll lay money the NFL - in some form- has already booked out the hotel. The following week, which would be the second week of the season, is wide open. Take it FWIW. Hope we open at home in week 1. Those games are always the best! ... I called late last week and the first weekend at the hotel is already blocked by "a large group." While most teams stay at the Hyatt, broadcast, at minimum, stays at the Embassy. Also, for last years opener, the Chargers were at the Embassy. Just reading the tea leaves, but I'll lay money the NFL - in some form- has already booked out the hotel. The following week, which would be the second week of the season, is wide open. Take it FWIW. Jamie - thanks for doing that investigation & posting...appears more than possible. Funny, about 3 weeks ago I was able to get rooms at the Embassy, but the second weekend was way more expensive than the first weekend. Only dates i really care about is Tennesee game not on September 27th or November 4th and Phill date not on either of those dates as well. Outside of that, i love 4PM games, understand we will have zero going into the season but will hope for a flex into a 4PM game. Thanks for posting this but perhaps that puts final schedule determination into perspective. They were lining it up a few weeks ago when you found it available but finalized it a week ago and then the NFL made their reservations. It seems plausible from a timing perspective. Based on the cryptic responses I was getting from the Embassy when I pressed them, I'd say it's very likely. I'd rather play the Patriots both times first 6 six weeks. They are at there weakest at the start of the season. Agreed. Even with the Minnesota Magic, we were out of contention by Halloween. A running start is just what the Dr. is ordering. 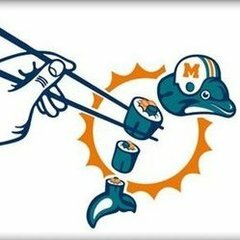 fwiw, Bills 1st ever regular season game was at the Jets (Titans). The AFL is ‘only’ 60 years old, but it may be in the schedulers thinking, given Bears/Packers KO game. I still think the Bills open against the Jets, not sure which location, but on a Sunday at 1PM. That's a pretty good tidbit right there. I bet the NFL is looking for those kinds of matchups in W1. It would be cool. Dolphins/Cinci as they were the last teams to join the AFL, Seattle/Tampa Bay & Carolina/Jacksonville came in together. The Jets heading this season though are a draw for the league and networks. NY playing on MNF or even SNF with Bell added will pump their ratings. Even at the 4:00pm slot they hold viewing value as of now which I see the NFL and networks using at this point especially with the Giants not very good right now for the NYC market. I don't think the league would waste the Jets viewership power on a 1:00pm slot at this point. I hope Pegula or Beane suggested to the powers that be, NOT to give the Bills 3 December home games. in the first few weeks. Waiting for the jerks who always chime in to say "Who cares? We already know who we're going to play. Doesn't matter when the games are played." The schedule release is one of the most exciting days of the annual calendar. Scrolling through this I was thinking the same thing! Agreed on the Nashville game, that’s the road game I want to hit and I pray it’s not week 1-2 (when we are traveling, so opener is also out) or Christmas (but Christmas is a Wednesday this year, so maybe I can ditch family and pull that off, or bring them?). I love Nashville and it’s a terrific venue adjacent to downtown and the Gulch. Great excuse to get there! Hope to get up for an early home game. Can’t wait to see the schedule!! !